Cheap Weekend Fun in Boston for December 6-7, 2014! There’s a lot of fun things to do in Boston for the first weekend of December including a lot of holiday events! 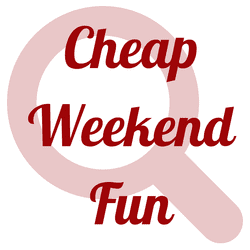 As always, please let me know in the comments if I missed any free or cheap local events! Christmas Craft Fair: Saturday, December 6, 2014 from 9:30am to 3:30pm at Old South Church. Check out 30 vendors with unique offers for the holidays! There will also be a tree lighting and caroling at 2pm! CraftBoston: December 5-7, 2014 at the Hynes Convention Center. Check out over 175 exhibitors and crafters and get some great gifts and ideas for the holiday season! Tickets are $15 but discount tickets start at $5! Newbury Street Holiday Stroll: Saturday, December 6, 2014 from 12-4pm. Stroll Newbury Street on Saturday and check out local offerings with many special deals, promotions, and fun! Charlestown Open Studios: December 6-7, 2014 from 11am to 5pm. Head to Charlestown to support and explore local art! Free. Vernon Street Open Studios: December 6-7, 2014 from 12-6pm in Somerville. Head to Vernon Street Studios to check out local art for free. Bank of America’s Museum on Us: Saturday and Sunday, December 6-7, 2014. Bank of America & Merrill Lynch cardholders can get into select museums the first weekend of every month for free by showing their bank card (per cardholder, not family). Museum of Fine Arts, MIT Museum and other museums across the state participate. Kid Price Saturday at Zoo New England: Pay and feel like a kid the first Saturday of every month at Franklin Park Zoo between 10 a.m. & noon for just $11.95. Head to Stoneham, MA to the Stone Zoo between 10am-12pm and pay $6.95 for admission. Free Holiday Movies at Assembly Row: Every Saturday through December 20, 2014 at 9:30am at AMC Assembly Row. Enjoy a free holiday movie favorite on the big screen at AMC Assembly Row on Saturday mornings this holiday season. Tickets will be released at 9am, one per person, on a first come, first serve basis. Free Holiday Movies at Showcase Cinemas: Every Saturday through December 20, 2014 at 10am at participating Showcase Cinemas. Head to Showcase Cinema with a canned good donation to see popular Christmas movies on the big screen for free. Blink: November 22, 2014 to January 4, 2014 at Faneuil Hall Marketplace. Enjoy a light and sound extravaganza with music of the Holiday Pops. Jordan’s Enchanted Village Begins: November 15, 2014 from January 5, 2015. The Enchanted Village is up and running for the season so come relive childhood memories! Free. There’s also FREE PARKING this weekend in Boston during the holiday season on Saturdays; however, time limits are still enforced. Next Saturday Red Sox tickets (for select games) will go on sale and people attending Christmas at Fenway will have a guarantee opportunity to purchase them. However, you do need to register to win free tickets to the event. Also, don’t forget to check out Mayor’s Holiday to find many holiday events in Boston with discount event tickets too as well as Goldstar Boston’s discount holiday events (affiliate link). Hope you have a great weekend whatever you decide to do!